Amazon first introduced its Alexa voice assistant alongside the Echo speaker around two years ago. Though the Echo line of products has proved to be exceedingly popular, the audio that even the flagship model produces still leaves something to be desired. If you like the idea of Alexa but have been holding off on buying an Echo because of the lackluster sound quality, Amazon has something in the works that may appeal to you - a touchscreen-equipped Alexa device with premium sound. According to Bloomberg's sources, who are two people at Amazon familiar with the project, the new device will ditch the current Echo and Echo Dot's cylindrical design for a larger one with a touchscreen around seven inches diagonally (think Nexus 7). The touchscreen will apparently tilt upwards for easier use when the user is standing and display content such as news, weather, and appointments. Back in May, The Wall Street Journal reported on a similar touchscreen Alexa-powered device, called "Knight" internally, which could be what this new product is. Powering the 7-inch screen will be a modified version of Fire OS, the Android-based system that is currently used on the Fire TV, Fire TV Stick, and Fire tablets. 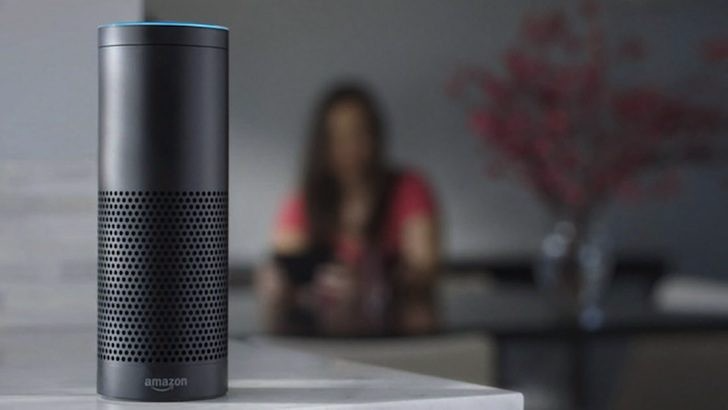 Like the Echo and other existing Alexa-equipped devices, the new device will respond to voice commands and questions. In addition, Amazon is testing a feature that allows user to "pin" things like photos on the screen, similar to how notes are stuck on refrigerator doors with magnets. While the Echo is optimized to play better sound at moderate levels of volume, Bloomberg's sources have said that the new device's high-quality speakers will sound great at any volume. One concept that is being considered has the speakers below and behind the adjustable touchscreen. This new Echo gadget could be announced as early as the first quarter of 2017, which is between one and four months away. The Echo, Echo Dot, and Echo Tap won't be interrupted by the device's introduction. Not much about the price was revealed, though it'll almost certainly be more grand than the Echo's MSRP of $179.99.